A sample of a home gym in a bag. 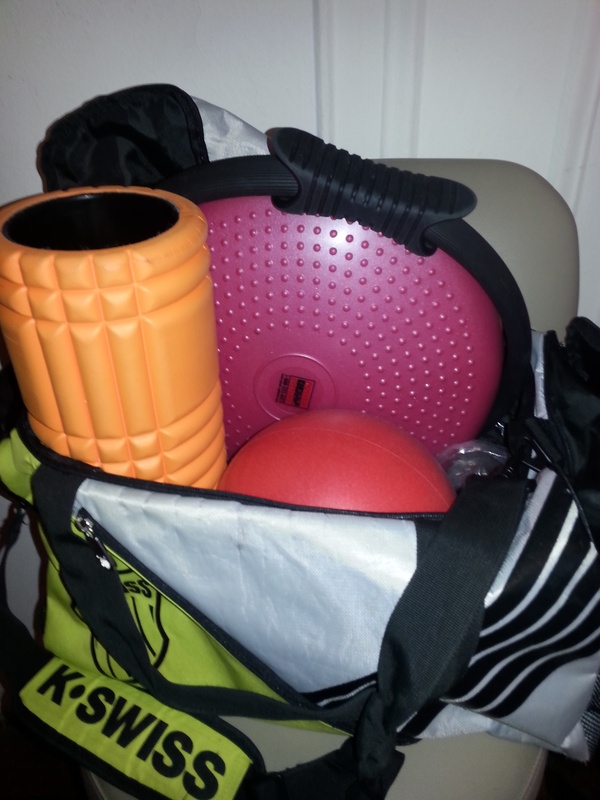 A Pilates Ring, Trigger Point small foam roller, Versa disc, and small exercise ball. Food Labels exposed From Animal Welfair Approved.